Many hands make light work! Join us at Arbor Lodge Park/Harper's Playground, October 15th, 9-12 for Parke Diem, a day of service in Portland parks. 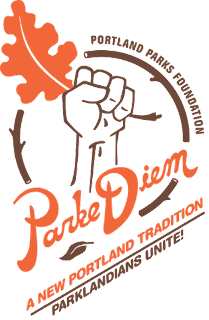 Portland Parks Foundation provides us with extra tools, gloves, and snacks and beverages for this work party - plus free t-shirts and water bottles! We will be weeding around trees and in planting areas, spreading bark mulch, flame weeding the curbing, sidewalk cracks, and the baseball infields - if we weed, we keep our park pesticide free and bee friendly. We need at least 5 volunteers to make our project a success - will you be one of them? Then click on "neighborhood park projects"